Samsung typically launches a number of different versions of its flagship Galaxy S smartphone model. 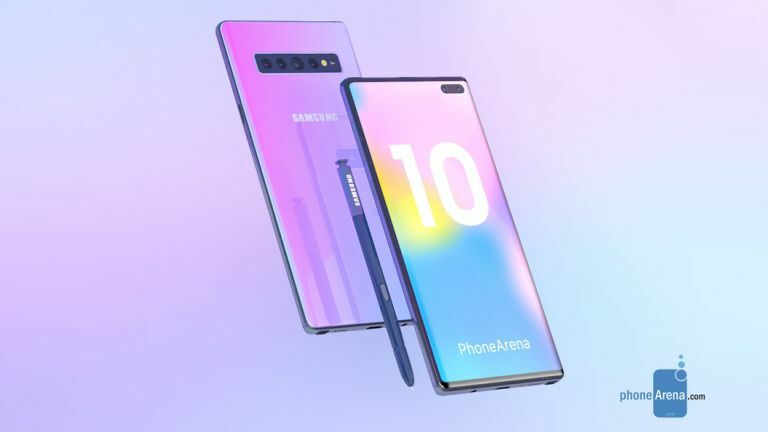 In the past, this has included a separate curved "Edge" model, like the Galaxy S6 Edge, while the latest generation divvies up into three: Galaxy S10e, Galaxy S10, and Galaxy S10 Plus. However, in recent years, Samsung has avoided releasing different models of its flagship Galaxy Note series. Until now. Sources speaking to ET News claim Samsung is hoping to replicate the success it has enjoyed with the new entry-level Galaxy S10e, which ditches a few features found on the pricier Galaxy S10 to bring down the SIM-free price of the handset. Aside from the Galaxy Note 10e and Note 10, the report from ET News claims we could also see two distinct variations on the 5G-enabled Note 10, too. For those who failed GCSE maths, that brings the total number Note 10 models set to launch this year to four. That's a lot of extra choice. The 5G-enabled models will purportedly differ on screen size, 6.28-inches and 6.75-inches, as well as the number of cameras in the rear-mounted system, with one favouring a triple-camera that sounds very similar to the Galaxy S10 Plus, while the other will top for the depth-sensing quadruple version set to launch on the S10 5G. Elsewhere, the devices will remain pretty much in sync with the other two Note 10 models, the report claims. We're likely to see the new models powered by the latest-generation Qualcomm Snapdragon 855 system-on-a-chip or the Exynos 9820, depending on region. There's some debate about whether the rear-mounted camera will rotate to double-up as the selfie camera, like the Samsung Galaxy A80, too. As always, none of this is set in stone until Samsung mobile chief DJ Koh makes the announcement on-stage in August. Before then, expect to hear a flurry of additional reports and rumours on the forthcoming flagship.